It's back to the circus to share some of the DIY decorations from Carson's party! 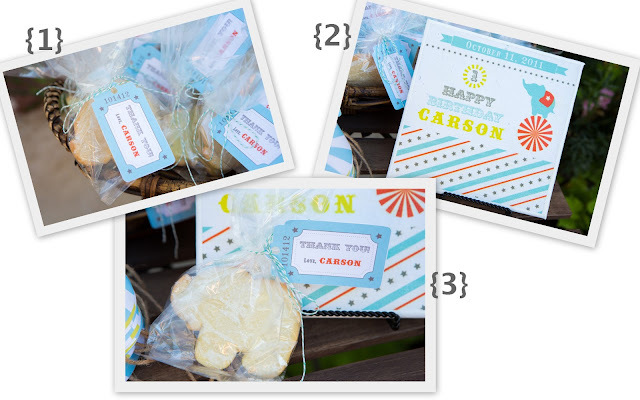 It was all in the details for Carson's big #1. From the water bottle labels, to the tissue paper pom poms, to the burlap table runners, we made everything ourselves. 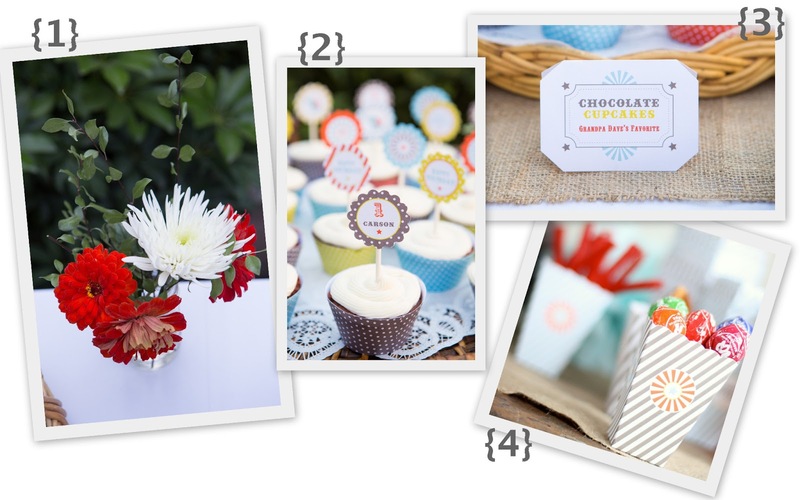 Putting together the perfect party was fairly simple thanks to my trusty photo printer. I was able to print almost all of the decorations myself. It did take up LOTS of our evenings leading up to the party, but it was a great way to go all out without spending way too much money. If you're interested in creating a "custom" party, the options are pretty unlimited thanks to the many talented artists on etsy. 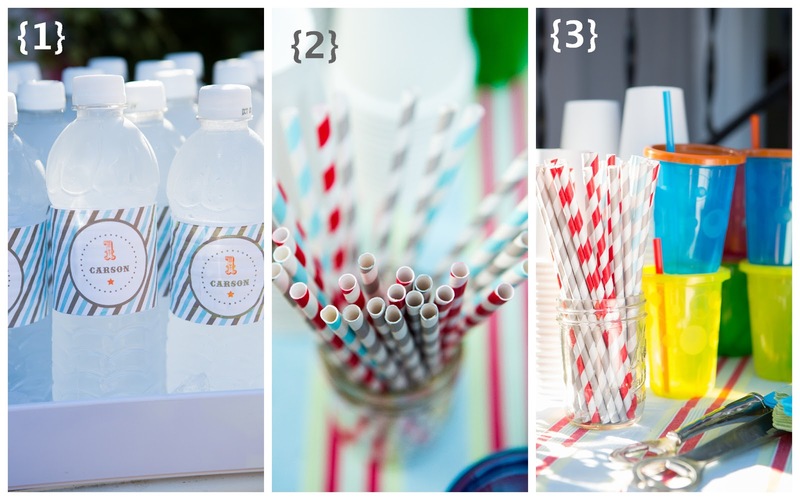 There are SO many fun options (I've already got party plans for years to come)! 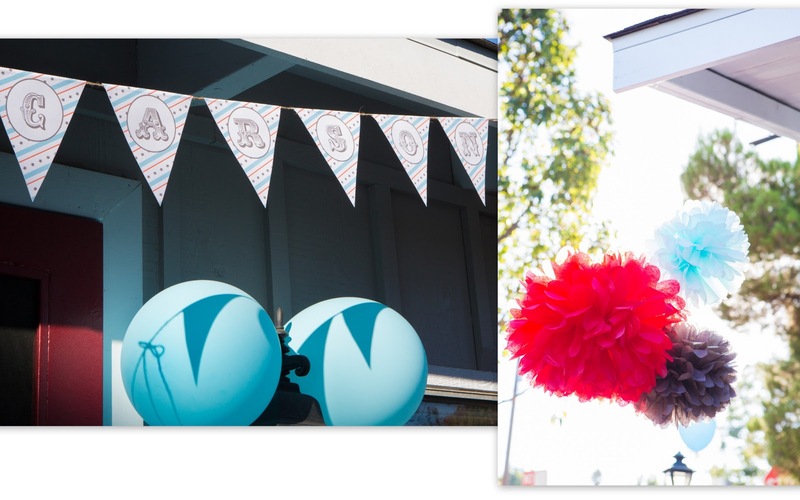 Luvalexa created the perfect party printables for our vintage circus party! She customized colors, fonts, signs, thank yous, etc. Pretty much anything I came up with, she was able to create. All I had to do was print and get to cutting and gluing! Below are some of my favorite party decorations! 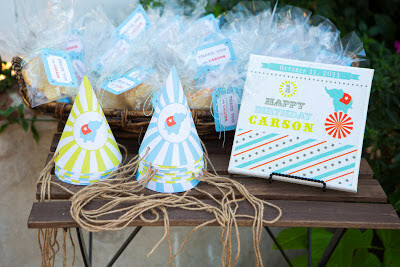 A small table welcomed guests with hats as they entered, and thanked them with cookies as they left! 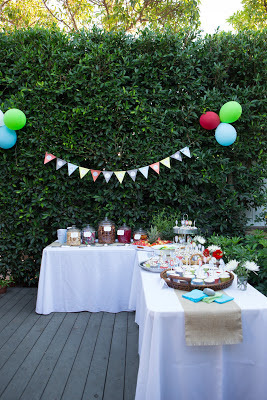 DIY banners strung with twine and tissue paper poms hung from every awning (balloons too, of course!). Here's a tutorial on making tissue poms (or order them in any color on etsy). 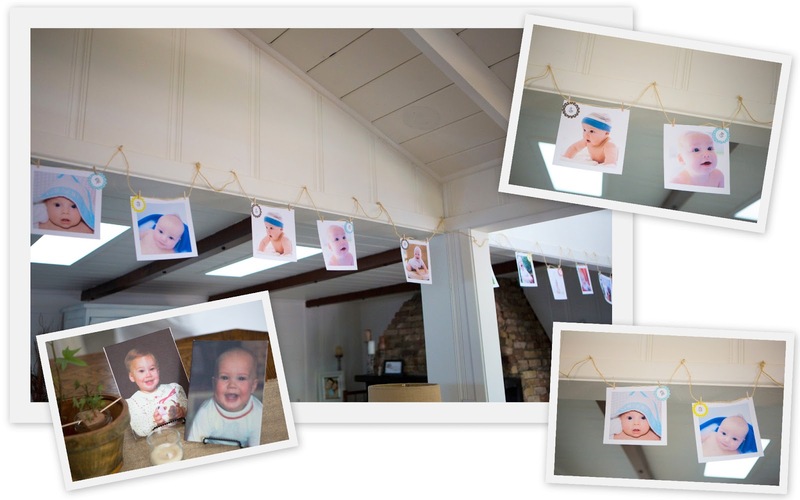 Inside we hung a photo banner featuring a photo from each of Carson's monthly photo shoots. The photos were labeled 0-12 for each month of his first year. 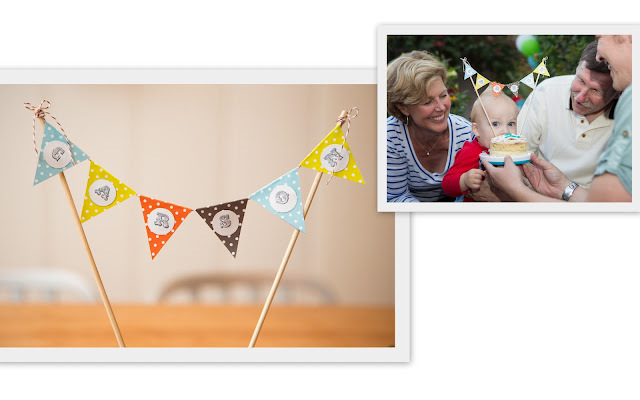 I created the matching numbers using Luvalexa's printable papers, my scalloped craft punch and this circus font. It's so much fun to see how much our little guy has grown in one short year! I also created a couple of canvases using Mom & Dad's 1 year photos (who does he look like?). The cake got it's very own tiny "CARSON" banner! I made way too many trips to Michael's! Hopefully this list can help if you're looking to create your own party! These are the tools and supplies that I couldn't live without!